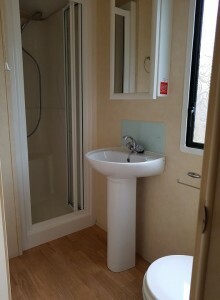 28’ x 12’ luxury,modern caravan. 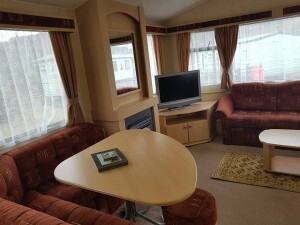 2 bedrooms – 1 double and 1 twin. 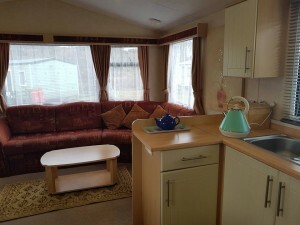 Fully fitted kitchen, microwave, Freesat Sky TV. All electricity and calor gas included in the price. 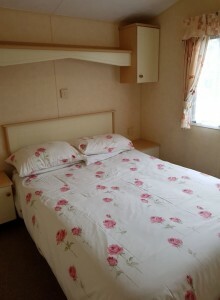 No dogs allowed in this caravan. No Smoking. All bed linen provided, but please bring your own towels and tea towels. Please email or phone to book and we will get straight back to you. The Campsite office is open from 8.45am - 10am and 1.30pm - 7.30pm . Arrival time is from 1.30pm. If you are unable to arrive before 7.30pm please contact us in advance for availability. If the office is closed on arrival please phone 01688 302615 and wait for Angus.